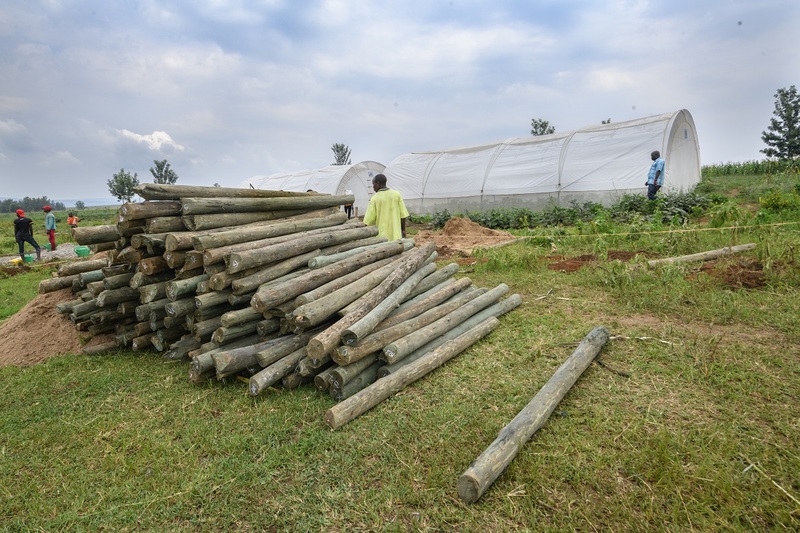 Yesterday, we started building a fence around the Juru Greenhouse in the Nakivale Refugee Settlement. But it’s a big job, and our work wasn’t over yet! Yesterday, we started to pour the foundation of a fence that would help keep out animals eating their very precious crops. Today, we’re adding the poles and wire to make the fence complete. The greenhouse is only a few months old — it opened in July 2018, which makes it the newest of four greenhouses we help manage in the area. But though a young operation, it’s a mighty one. The garden’s incredible success has had a great impact in the community. 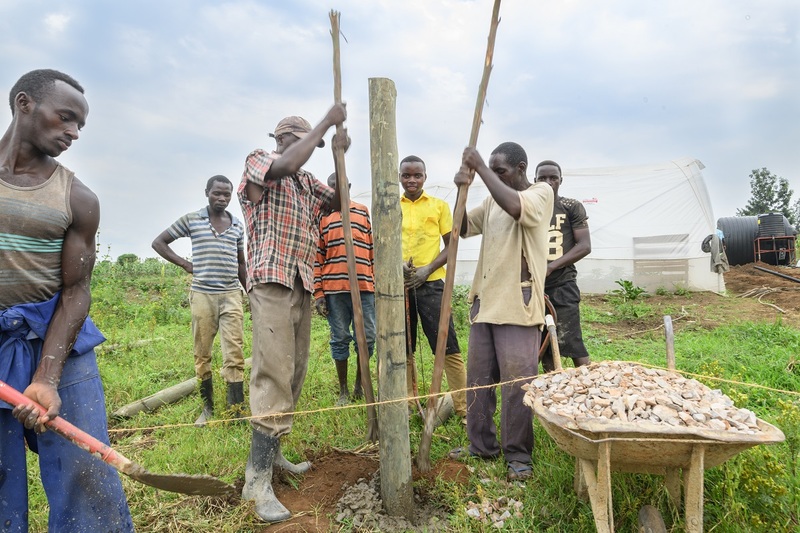 Not only does it act as a demonstration center to show people how to manage backyard gardens, but it has produced so much food that members of the community were able to open a market in a remote area of the Nakivale Refugee Settlement.